1.2 In general, you can simply browse our website or our application without telling us or providing any information about yourself and informing us who you are. In occasions you give us your personal information, you are no longer anonymous to us. The Information on Users is divided into two information, depending whether you can be identified as particular person based on that information or not - personally identifiable and non-personally identifiable Information. 3.3 We will collect your location information through our Platform on a basis of your consent and in the interest of providing our Services. We will only use this information to provide you with the list of Fleet Managers that are located near you and to provide other information and services which are connected to your location information such as when you want to join a Joint Subscription or when you want to display that you are looking for people to join your Subscription. We may also collect the location of the vehicles in the Fleet for the security purposes, for providing Benefits and verifying the use of the vehicles. 3.4 All vehicles in the Fleet come with installed device (hereinafter “Device”) used to measure vehicles exact location, driving patterns such as sudden acceleration, sudden stop, time and date of the vehicle use, vehicle use statistics, distance traveled, engine and atmosphere temperature and other information related to the use of the vehicle. We may use collected information to determine your compliance with the Terms of the subscription, applicable laws, to calculate your yearly mileage and determine any excess thereof, to calculate minimum insurance limit and similar. Access to this information is available either remotely or after a physical check-up of the vehicle. Access to this information is provided to the Currux and to the Fleet Manager. We may sell or otherwise disclose this information to government authorities, banks, credit institutions, insurance agencies and other third parties. You understand and consent to the disclosure of information obtained from the Device and that certain decisions regarding the Services can be made using such Information. Transfer of information to third parties shall be governed by statutory limitations and obligations or, in the absence thereof, by data processing agreements dedicated to ensure your privacy and specifying the exact purposes this information may be used. We may offer you services and content including advertising based on the information collected. 3.5 We may keep records of any inquires, questions, complaints or compliments made by you and the response if any. Whenever you contact us, we will collect your name, e-mail address and any additional information which you provide. We will store and use your name and e-mail address only for the purpose of responding to your inquiries and we will remove such Information from our servers as soon as the inquiry is resolved, unless such information is necessary for the purposes listed in article 3.2. Information contained within the inquiry, free from any personally identifiable Information, will be stored on our servers for the purpose of improving our Services and providing the best customer support possible. 3.6 The Platform is also able to read and write the your phonebook data. This information is used depending on your actions on the Platform such as when you want to invite other people to join your subscription. We do not make this information available to any third party. 3.7 We may contact you using the available contact information provided by you, for any matters relating to the Services or compliance with our Terms, Policies or applicable laws and regulations (Service e-mails). These e-mails do not constitute “unsolicited commercial e-mail advertisements” and you are not able to opt-out of receiving them. We may also inform you through e-mails about promotions, offers, events, surveys and everything else in connection with our business, and our affiliates (Promotional e-mails). You can choose not to receive these e-mails by following the opt-out procedure described in the e-mail. 3.9 We endeavor to maintain appropriate physical, procedural and technical security with respect to the collected information so as to prevent any loss, misuse, unauthorized access, disclosure, or modification of personal information which also applies to our disposal or destruction of personal information. We keep the personal Information we collect about you strictly confidential. 5.1 Cookies help us optimize and improve the user experience of the Platform by helping us deliver crucial functionalities. The cookies we use may vary over time as we continuously update and improve our Site. 6.1 The Platform or e-mails may contain links to other external websites that do not fall under our domain. We are not responsible for the privacy practices or the content of such external websites. If you choose to follow such links to external websites, you do so at your risk. 6.2 We may use third party services like Google Analytics and other. Cookies from such services are used to collect data for statistical reports. By accessing our website, downloading our mobile applications, using our services or accessing any content that is made available by Currux.com you expressly agree to be legally bound by the terms stated in this document, so please read these terms carefully before using our platform as you are entering into a binding contract with Currux LLC, 520 Post Oak Blvd, Suite 260, Houston TX 77027 USA (“Currux”). Currux reserves the right to modify the Terms & Conditions at any time. Continued use of this website by you will constitute your acceptance of any revisions to the Terms & Conditions. Please check this page regularly. These Terms do not interfere with any obligation or authorization provided in any other agreement concluded between you and Currux. ‘Site’ refers to the website of Currux available at <https://currux.com/> or any other URL which may host Currux’s websites or Services. ‘App’ refers to the mobile application of Currux. ‘Platform’ refers to Site, App, and Services collectively. ‘User/You’ refers to any person or legal entity accessing or using our Platform. 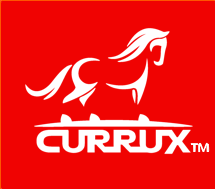 ‘We/Us/Currux’ refers to Currux LLC, the Platform, and their developers and affiliates. ‘Third-Party’ refers to any application, website, natural or legal entity other than Currux or their affiliates. ‘User Generated Content’ refers to the Content provided by the Users. ‘Services’ refers to the Currux marketplace where Users are able to subscribe to the vehicles offered by Dealers, overall functionality of the Platform, and availability of the Content provided by Currux and User Generated Content. 2.1 Unless otherwise indicated, the Platform is our proprietary property and all source code, databases, functionality, software, website designs, audio, video, text, photographs, and graphics on the Platform and the trademarks, service marks, and logos contained therein (the “Marks”) are owned or controlled by us or licensed to us, and are protected by copyright and trademark laws and various other intellectual property rights and unfair competition federal and state laws, foreign jurisdictions, and international conventions. The Content and the Marks are provided on the Site “AS IS” for your information and personal use only. Except as expressly provided in this copyright notice, no part of the Platform and no Content or Marks may be copied, reproduced, aggregated, republished, uploaded, posted, publicly displayed, encoded, translated, transmitted, distributed, sold, licensed, or otherwise exploited for any commercial purpose whatsoever, without our express prior written permission. 2.2 Subject to your compliance with these Terms, we grant you a limited, non-exclusive, non-transferable, non-sub licensable, revocable license to access and use the Platform and Content provided by Currux. Except as expressly permitted in these Terms, you may not: copy, modify or create derivative works based on the Platform and their Content; distribute, transfer, sublicense, lease, lend or rent the Platform or their Content to any Third-Party; reverse engineer, decompile or disassemble the Platform; or make the functionality of the Platform available to multiple Users through any means. 2.3 Nothing in this Agreement shall operate to assign or transfer any Intellectual Property Rights from the Currux to the User, or from the User to the Currux. 2.4 Nothing in this Agreement shall give to the User or any other person any right to access or use the Source Code or constitute any license of the Source Code. 2.5 We reserve the right to modify, suspend or discontinue, temporarily or permanently, the Platform or any Service to which it connects, with or without notice and without liability to you. 2.8 If you post content on or through the Platform, you grant us a non-exclusive, royalty-free, perpetual, irrevocable right to use, reproduce, modify, adapt, publish, distribute, and display such User Generated Content on the Platform and on any other marketing material we may create. Whenever we might use the User Generated Content we will give appropriate credit to the content provider through their name. 2.9 We aim to provide a safe space for all our Users. However, considering how we do not monitor User Generated Content, you agree to inform us immediately if you come across any illegal activity, activity that is in breach of these Terms, or activity you suspect might be in violation of these Terms or applicable laws or might otherwise be objectionable. Although we expressly prohibit posting of any User Generated Content which is illegal, hateful, obscene, threatening, incites violence, insulting, defamatory, infringing of intellectual property rights, invasive of privacy, or contains graphic or gratuitous violence or is otherwise objectionable to Third-Parties, we do not pre-screen the content, so you hereby agree that you may be exposed to any such content and that you use the Site and the Services at your own risk. We reserve the right to remove any content which we find to constitute a breach of these Terms or relevant laws, without notifying the Users or providing reasoning for such action. You recognize and concur that Currux bears no obligation regarding the risk, harm, damage, or loss that might emerge from content submitted to or distributed on the Platform. You further understand that by providing your content online, other people will have access to such content and they will be able to copy, share or otherwise interact with such content. If you do not want your content to be used as described the only remedy is to not share your content. 2.10 Some content on the Platform, such as advertisement, may be provided by a Third-Party. We are not responsible for such content, nor do we monitor or control content provided by a Third-Party. facilitate or encourage any violation of these Terms. 5.1 The Services may be made available or accessed in connection with Third-Party services and content (including advertising) that Currux does not control. We may also provide you with links leading to the Third-Party. You acknowledge that different Terms of Service and privacy policies may apply to your use of such Third-Party services and content. Currux does not endorse such Third-Party services and content and in no event shall Currux be responsible or liable for any products or services of such Third-Party providers. 5.2 Our Services may be used in connection with Third-Party services such as Facebook, Twitter, Google +, and other. In that sense your interaction with the Site and Services is further regulated by the Third-Party’s respective terms and privacy policies. Currux is not sponsored, endorsed, organized or in any other way supported by these Third-Parties. 6.1 You will indemnify and hold harmless Currux, and its employees and affiliates, from and against any claims, disputes, demands, liabilities, damages, losses, and costs and expenses, including, without limitation, reasonable legal and accounting fees arising out of or in any way connected with your access to or use of the Site and our Services, content which you provide, or your violation of these Terms. 7.1 YOU AGREE THAT, TO THE EXTENT PERMITTED BY APPLICABLE LAW, YOUR SOLE AND EXCLUSIVE REMEDY FOR ANY PROBLEMS OR DISSATISFACTION WITH THE CURRUX SERVICE IS TO STOP USING THE CURRUX SERVICES. 7.2 TO THE MAXIMUM EXTENT PERMITTED BY APPLICABLE LAW CURRUX, ITS EMPLOYEES, OFFICERS, SHAREHOLDERS, DIRECTORS, AGENTS, SUBSIDIARIES, AFFILIATES, SUCCESSORS, SUPPLIERS, ASSIGNEES OR LICENSORS SHALL NOT BE LIABLE FOR ANY INDIRECT, SPECIAL, INCIDENTAL, PUNITIVE, EXEMPLARY OR CONSEQUENTIAL DAMAGES, OR ANY LOSS OF PROFITS OR REVENUES, WHETHER INCURRED DIRECTLY OR INDIRECTLY, OR ANY LOSS OF DATA, USE, GOOD-WILL, OR OTHER INTANGIBLE LOSSES, ARISING OUT OF YOUR ACCESS OR USE OR INABILITY TO ACCESS OR USE THE CURRUX SERVICES, THIRD-PARTY APPLICATIONS OR THIRD-PARTY APPLICATION CONTENT, INCLUDING WITHOUT LIMITATION ANY OFFENSIVE OR ILLEGAL CONDUCT OF OTHER USERS OF THE SITE, REGARDLESS OF LEGAL THEORY, EVEN IF CURRUX HAS BEEN ADVISED OF THE POSSIBILITY OF THOSE DAMAGES AND EVEN IF A REMEDY FAILS OF ITS ESSENTIAL PURPOSE. 7.3 CURRUX, IT’S EMPLOYEES, AGENTS, AND ITS DIRECTORS DO NOT ACCEPT ANY LIABILITY AND YOU HEREBY AGREE TO RELEASE US OF ANY LIABILITY ARISING (WHETHER DIRECTLY OR INDIRECTLY) OUT OF THE INFORMATION PROVIDED THROUGH THE SITE, OR ANY ERRORS, IN OR OMISSIONS FROM INFORMATION ON THE SITE. CURRUX IS NOT LIABLE FOR LOSS (WHETHER DIRECTLY OR INDIRECTLY) CAUSED BY YOUR ACTIONS OR DECISIONS BASED ON YOUR RELIANCE ON THE INFORMATION PROVIDED TO YOU THROUGH THE SITE, NOR CAUSED BY THE DELAY, MALFUNCTION OF THE OPERATION OR THE AVAILABILITY OF THE SITE. 7.4 CURRUX DOES NOT GUARANTEE THAT THE INFORMATION ON THE SITE AND APP IS CORRECT. ALL INFORMATION ON THE SITE IS STRICTLY FOR ENTERTAINMENT PURPOSES AND SHOULD NOT BE CONSIDERED AS AN ADVICE, RECOMMENDATION OR SUGGESTION OF ANY KIND. 9.1 This Agreement shall be governed by and construed under the laws of the State of Texas, without regard to its conflict of law provisions, as applied to agreements entered into and to be performed Texas by Texas residents. You agree that if you have any dispute with Currux you will contact us in order to settle through negotiations and mutual understanding. If the solution can not be reached in negotiations you agree and hereby submit to the exclusive jurisdiction of the courts of Huston, Texas. 10.1 If any part of these Terms is found to be invalid, illegal or unenforceable in any respect, it will not affect the validity or enforceability of the remainder of the Terms. The section titles in the Terms are for convenience only and have no legal or contractual effect. Any failure to exercise or enforce any right or the provision of this agreement shall not constitute a waiver of such right or provision. This Currux Subscription Terms and Conditions Agreement (the "Agreement") explains the terms and conditions of your subscriptions made through the Platform. Please read this Agreement carefully as it contains important information about your legal rights, remedies and obligations. Please keep a copy of it for your reference. By submitting subscriptions through the Currux Platform you agree to follow and be legally bound by this Agreement. This Agreement is between Currux Corp., 520 Post Oak Blvd, Suite 260, Houston TX 77027 USA and the person who has subscribed ("you") as of the date you subscribed, and sets forth the terms of a subscription for use of a certain Fleet (each a 'Vehicle" or "Vehicles") offered through the Currux platform. The term "Currux" shall also include any affiliates and assignees of this Agreement, as applicable. If you do not agree with (or cannot comply with) the terms and conditions set forth below, do not use or access our services. Currux reserves the right to update, modify or amend these Terms & Conditions at any time. Continued use of this subscription by you will constitute your acceptance of any revisions to the Terms & Conditions. Please check this page regularly. ‘Authorized Driver’ refers to Subscriber, their spouse, or other person from Subscriber’s household, authorized to drive the vehicle from the Fleet and registered as such on the Platform. Authorized Driver also refers to the concierge and the person authorized by law to operate the vehicle such as any person driving the vehicle to the medical facility during an emergency. ‘Benefits’ refers to additional services offered by Fleet Managers or Currux when Currux acts as the Fleet provider, such as concierge, maintenance of the Fleet and insurance. ‘Fleet’ refers to a listing on the Site which includes one or more vehicles. ‘Fleet Manager’ refers to a Fleet Manager approved for providing Fleets and Benefits for subscription through the Platform. 'Model Car’ refers to the vehicle that is not yet available on the Platform, but the User requesting a subscription to a Model Car will be notified as soon as the Fleet with such vehicle becomes available for subscription. ‘Platform/Program’ refers to Site, App, and Services collectively. ‘Services’ refers to the Currux marketplace where Users are able to subscribe to the Fleets offered by Fleet Managers, provision of Fleets by the Currux, overall functionality of the Platform, and availability of the Content provided by Currux and User Generated Content. ‘Subscriber’ refers to any User subscribing for the Fleet. ‘Subscription Period’ refers to the period of time the subscription is valid. ‘Subscription Fee’ refers to the monthly cost of the selected subscription. ‘Terms/Agreement’ refers to the latest version of this Subscription Terms and Conditions Agreement document.  ‘We/Us/Currux’ refers to Currux Corp., the Platform, and their developers and affiliates. 2.1 Currux is an online marketplace that enables Users to access and subscribe to Fleets offered by Fleet Managers, subject to availability and in accordance with the terms of this Agreement Fleet Managers use Currux marketplace to market and offer subscription-based access to their Fleets. Fleet Managers may offer through Platform additional Benefits such as concierge, maintenance of the Fleet, and insurance. If provided, Subscribers are able to choose which benefits they want to subscribe to. Currux may also act as a Fleet Manager. When Currux appears as such provider, all references to Fleet Manager, save article 2.4, shall refer to Currux Corp.
Currux and/or the Fleet Managers participating in the Program own the Fleets, and you do not acquire any ownership rights or interest in any Fleet or other items made available to you for use. 2.2 Fleets and Benefits are at the sole responsibility of the Fleet Manager and their affiliates and partners. When you subscribe to a Fleet, you enter into a legally binding relationship with the Fleet Manager, subject to any additional terms and conditions of the Fleet Manager that apply. Currux is not a party or a participant in a contractual relationship between Subscriber and Fleet Managers. Currux does not act as an agent or representative of any Subscriber or Fleet Manager. All payments made through the Platform are processed by Stripe Inc. Currux does not collect any fees on behalf of Fleet Managers. behavior or conduct of Fleet Managers or other Users. 2.4 Currux does not endorse any User, Fleet, or Fleet Manager. We take reasonable measures to confirm the identity of the Subscribers and Fleet Managers. However, that does not mean that we guarantee that such confirmation is accurate, current, or complete. You are advised to conduct your own independent and diligent research about the Fleet Manager and the Fleet before making a decision to subscribe. Vehicles vary in properties including their usability, carry load, space, and safety, so it is very important that you inform yourself before making a decision to subscribe to certain Fleet. Even if you choose not to use some of the Benefits such as maintenance or insurance that does not mean that you are free from responsibility to acquire those services yourself. 2.5 Joint Subscriptions may contain certain limitations as to the ability to choose the Benefits. You understand that such limitations are necessary and are caused by the very nature of Joint Subscriptions. 2.6 Currux does not guarantee that the Platform will be available on an error-free, uninterrupted basis. Platform or any part thereof may from time to time be down for maintenance or restricted for security reasons. From time to time we may also change and update our Platform, introduce new or discontinue existing Services. 2.7 Access to our Platform is available worldwide, however, some Services are not. We may not control who accesses the Platform, so it is upon you to assess whether using or accessing the Platform is in compliance with any local laws and regulations. Whenever you are using our Platform, you will need to comply with these Terms and any applicable laws, regulations, and policies. If any part of the Service is not in compliance with your local laws, you may not use the Service. Any such Service will be considered as ‘not available in your region'. 2.8 By accessing the Platform, you confirm that you will not use the Platform contrary to these Terms or applicable laws. Whenever a Service, Fleet, or Benefit requires fulfillment of additional conditions, you confirm that when you are subscribing to such Services, Fleets, or Benefits, you are complying with all such requirements. 2.9 Benefits are provided by the Fleet Manager or Third-Party service providers hired by the Fleet Manager. Unless Currux acts as a Fleet Manager in accordance with article 2.1, or unless otherwise agreed, Currux is not a provider of insurance, maintenance, concierge, or any other Benefit which may be available on the Platform. You hereby agree to release us of any liability which may result from the use of the Benefits provided by Fleet Managers other than Currux or provided by a third party. 2.10 A Fleet Manager is responsible for providing an acceptable concierge; however, you may be able to request additional background checks from the Fleet Manager to ensure that concierge fulfills your specific requirements. Some background checks are conducted only with the request or approval of the concierge in question. The Fleet Manager is aware of the importance that concierges are professional, reliable, have high moral standards and a clean background. Fleet Managers are not allowed to advertise or provide through Platform any concierge who does not fulfill these requirements. You hereby understand and agree that we do not endorse any concierge available on the Platform and that their actions and behavior are at the sole responsibility of such concierge or Fleet Manager. We are not responsible for the choice of concierge or any damage resulted from the acts of such concierge. For “Gold” subscription plans Concierge will be available at least 5 days a week for 4 hours per day. For “Platinum” subscription plans Concierge will be available at least 5 days a week for 8 hours per day. 2.12 Users are able to subscribe to an already listed Fleet or request subscription for a Model Car. The Subscription request for the Fleet is processed immediately and based upon the credit score and eligibility factors is approved or User may be prompted to select a less expensive Subscription. When User requests a subscription for a Model Car, Currux will take action to make the Model Car available as a Fleet for subscription on the Platform and will inform the User if the Fleet which matches the requested Model Car becomes available. Currux will aim to obtain the listing of the Fleet which matches the requested Model Car within seven (7) work days starting from the time of the request for subscription. Currux does not make any guarantees that the requested Model Car will be made available for subscription. · You possess a valid driver’s license appropriate for the vehicles in the Fleet, issued in the jurisdiction you live in that has not been modified, suspended, revoked or restricted (except for glasses) and a driving record that is satisfactory to Currux or its Fleet Managers which includes, but is not limited to, being convicted of driving with a suspended license, vehicular manslaughter, operating a vehicle while impaired, or felonious driving. 3.2 By subscribing you consent and authorize us to, to the extent permissible by law, perform or have performed a background check of you and any Authorized Driver and each one’s driving history. Based on the el9igibility requirements we may deny the subscription, adjust the Subscription Fee or change the minimum amount of insurance for the vehicle(s). 3.3 You must maintain an updated email address, mailing address, phone number and any other contact information required by us to participate in the Program. 3.4 You must immediately notify us if your or any Authorized Driver driver’s license expires or is modified, revoked, suspended, or restricted, or are charged with a moving violation of any kind, are charged with or cited for driving under the influence of drugs or alcohol, reckless driving, speeding, you no longer have insurance, or if you no longer meet any other Program requirements. 3.5 The eligibility requirements are a factor in a Fleet Manager’s ability to provide insurance as a Benefit. You and any Authorized Drivers must maintain a good driving record, meeting the eligibility requirements, and you authorize us to check this from time to time. If you do not meet eligibility requirements for insurance or fail to notify Currux, Currux may, in its sole discretion terminate this Agreement and you will pay the Cancellation Fee. 3.6 You agree that in the event of a crash, theft or other liability incident during the Subscription, you will immediately report the incident and provide Currux or Fleet Insurance agents with a copy of any reasonably requested information relating to the incident including any applicable insurance coverage. You agree that Currux will provide complete and accurate information regarding you and any Authorized Driver to prosecution authorities upon their request. 3.5 Where permitted Currux may but does not oblige to, verify your identity or conduct background checks in order to verify some information about you and your use of vehicles such as your identity, vehicle history, and driver’s license validity. We do not represent or warrant the results of any inquiry or endorse any User who passed our identity verification or background checks. 3.6 In accordance with Fair Credit Reporting Act, when you subscribe to a Fleet you provide us with written instruction and authorization to obtain your auto insurance score, credit report and to conduct a background check. You hereby authorize us to obtain credit reports from one or more consumer credit reporting agencies regarding your request for subscription or at any other time during the term of your subscription at our sole discretion and without any additional authorization or notification. We may use the credit reports for lawful purposes such as (i) to verify your identity; (ii) to assess whether you will be able to make timely payments; (iii) for internal analysis purposes; (iv) to provide Fleet Manager with the information. You further agree that we may contact third parties without further notice to verify any such information. 3.7 When you submit a request for the subscription you authorize us to conduct a driving history background check on you and on any Authorized Driver you wish to register. Where necessary, you agree to provide documentation and information required to conduct a driving history background check. 3.8 You understand that it is your responsibility to keep your log in information confidential. You are responsible for all activity under your account. If you discover or suspect that someone accessed your account without authorization, you will inform us immediately. 3.9 By allowing us access to your e-mail address, you agree that we may contact you using such contact information, for any matters relating to the Services (Service e-mails). These e-mails do not constitute “unsolicited commercial e-mail advertisements,” and you are not able to opt-out of receiving them. We may also inform you through e-mail about content, promotions, special offers and or other topics of interest related to the Currux and our affiliates (Promotional e-mails). You may choose to stop receiving these promotional e-mails at any time by following the instructions contained in promotional e-mails. 3.10 If you have any question or suggestion you can contact us at admin@currux.com. 4.1 Currux may make changes or replace our Subscription Terms and Conditions Agreement at any time. We will post such changes, replacements and updates on the Platform and such change, replacement, and update to our Terms and Conditions Agreement will take effect immediately upon posting. You are consenting to keep yourself up to date with the latest posted Terms and Conditions Agreement and you accept and are bound by such change, replacement and update if you access or use our service after we have posted updated Terms. The Subscriber Terms and Conditions Agreement applies regardless from which operating system you access our Platform. 5.1 Subscription Fee is calculated based on the Fleet subscription costs, chosen Benefits, number of Subscribers, and the duration of Subscription Period. Our Services are provided to Subscribers free of charge. Fleet Manager may pay a commission to us after you have paid for the subscription. Subscribers may only choose from the options provided by the Fleet Managers. You understand that not all Fleets have same subscription options and that these options are at the sole discretion of the Fleet Managers. 5.2 Subscription Fee is shown as a monthly cost of the subscription paid during the entire duration of the Subscription Period. Subscription fee is due monthly, with the first monthly Subscription Fee paid in the moment the Fleet Manager approves the subscription request. Subscribers authorize us to collect Subscription Fees each month from the provided payment method. 5.3 You understand and agree that Subscription Fee includes any applicable taxes. 5.4 Renewed subscription is by default for the same duration as the initial Subscription Period. Subscriber may change the duration of Subscription Period to another available Subscription Period listed on the Platform by contacting Currux and Fleet Manager or by canceling the auto renewal option and opting for a new subscription at the end of the current Subscription Period. Subscription Fee will remain the same for the renewed Subscription Period unless renewed subscription differs from the initial subscription (e.g. different number of joint subscriptions, discontinuation of certain Benefits). Neither Currux nor Fleet Manager is responsible in the event that the desired duration of the Subscription Period is not listed on the Platform. 5.5 Before expiry of the Subscription Period, but not earlier than thirty (30) days before, Currux or Fleet Manager will notify the Subscriber that their subscription will automatically renew for the same duration as the initial subscription and display the amount of the new Subscription Fee. If Subscriber does not want to renew their subscription, they will have to notify Currux and Fleet Manager as described in the ‘Notices’ section of this Agreement. In case of Joint Subscriptions, a Subscriber who does not want to renew the subscription will further have to notify other Subscriber on the decision in the same manner. If other Subscribers do not opt out of automatic subscription renewal, the new subscription will be adjusted for the remaining number of Subscribers, including Subscription Fee, Subscription Period and Benefits. 5.6 Subscribers hereby agree that they will not take any action in order to circumvent Currux fees, including finding about the Fleet Managers through Platform and then completing a transaction outside of Currux. You understand and agree that, because the actual damages that may result from such circumvention are hard to estimate, you will pay the amount of $5,000 USD to Currux as a compensation for such violation. This amount is intended to cover any potential profits we may have lost by your circumvention of our fees. 5.7 Early Termination Fee is a one-time payment for termination of the subscription prior to the expiry of the Subscription Period. Early Termination Fee is in the amount of one monthly Subscription Fee for subscription plans of 6 months and less, two monthly Subscription Fees for subscription plans of one year and three monthly Subscription Fees for subscription plans of two years and longer. A minimum of three months applies to all Subscription periods. Early Termination Fee does not replace monthly Subscription Fee that is due for the month in which the subscription is terminated. The same fees apply to each individual Subscriber in Joint Subscriptions. Early Termination Fee is due immediately, on the day of termination. 5.8 Early Termination Fee is not owned if the Subscriber swaps the Fleet with a different Fleet of the same price. 5.9 In the event that the Subscriber uses the Concierge benefit for more hours than the subscription plan allows, Subscriber will be charged additional $22,00USD per each hour of overtime in a month. 5.10 Subscribers are solely responsible for any tolls, parking tickets, or any other citations incurred during the Subscription Period. In the event of Joint Subscriptions, these costs are divided amongst the Subscribers evenly unless Subscribers agree otherwise or are able to demonstrate that the cost is at the exclusive fault of specific Subscriber(s). 5.11 Subscriber is responsible for payment of any costs which may come up during the Subscription Period or after termination of this Agreement including but not limited to cleaning, grooming, replacement fees, fuel, recovery fees, late return fees, storage, impound and similar. 5.12 Subscribers will receive the refund of the initial charges of the Subscription Fee save Currux Platform Fees in the event that subscription becomes terminated because the Fleet Manager did not make the Fleet available as agreed within seven (7) work days from the moment of approval of the subscription request. 5.13 When purchasing a subscription, Subscriber is obliged to provide valid payment information in order to confirm the subscription. Subscriber agrees to keep the payment information on file current during the entire duration of the Subscription Period and any renewal periods thereof. 5.15 By providing your payment information you authorize us, our affiliates, and other Third-Parties hired by us to debit all charges and fees to the payment method you provided. We and our affiliates may utilize all available legal methods in order to collect any outstanding amounts from you. You will be responsible for the costs of utilizing of such methods. We may additionally report information about your account, such as late or missed payments, to credit bureaus which may reflect your credit report. 5.16 Although payments are done through the Platform and processed through the Third-Party service provider; this does not change the relationship between Subscribers and the Fleet Managers. The payment for the use of the Fleet and any additional Benefits is done directly to Fleet Manager, Currux does not collect any payments on behalf of the Fleet Managers. 5.17 Subscriber hereby agrees to bear all costs for collecting any outstanding debt in the event that Subscriber is late with payment of Subscription Fees or any other fees. Additionally, in the event of late payments, Currux and Fleet Managers reserve the right to terminate this Agreement and collect all vehicles in the Fleet immediately upon termination. 6.1 Subscriber will be able to pick up the vehicles in the selected Fleet between one (1) and seven (7) business days from the time of approval of the subscription request. Vehicles will either be available at the Fleet Managers premises, delivered to agreed-upon place by the concierge or made available in some other way or some other place as agreed with the Fleet Manager. In the event that Fleet Manager does not make the vehicles available within this time, Subscriber may terminate the subscription in which case they will be refunded as indicated in article 5.12. In the event that Subscriber is late with picking up or dropping off the vehicles, Fleet Manager may charge late fees according to their rates. If you fail to return the vehicles within seven (7) days from the end of the Subscription Period, you will be presumed to have embezzled the vehicles and Fleet Managers will take appropriate legal measures. 6.2 Vehicles are provided “AS IS” without any express or implied warranties as to the vehicle condition, safety, merchantability or fitness for particular purpose. 6.3 By default, during the Subscription Period, each vehicle in the Fleet has a limit of 15,000 miles per twelve (12) month period. If this limit is exceeded, Subscribers agree to pay additional $0.25 USD per mile. In the event of Joint Subscriptions, this fee is divided amongst the Subscribers evenly unless Subscribers agree otherwise or are able to demonstrate that the violation is at the exclusive fault of specific Subscriber(s). Fleet Managers may provide subscriptions with different mileage limitations and fees for exceeding such limits. The actual miles used during the Subscription Period may be determined from the preinstalled monitoring device or from the odometer, at the sole discretion of the Fleet Manager. 6.4 During the Subscription Period, if Fleet Manager allows so in writing, Subscribers may exchange their Fleet with other Fleets of the same price. All Subscribers in Joint Subscription have to agree with the exchange. 6.5 Subscribers undertake to take all reasonable care in handling and parking the vehicles, and that the vehicles are left securely locked when not in use. If the Subscription does not include maintenance, during the Subscription Period, Subscriber is further obliged to maintain the vehicle in proper condition, including but not limited to all car fluids (ex. oil, cooler, water), battery level, cleanliness, tire pressure, and body. Fleet Managers may request in the moment of return of the vehicle that the Subscriber demonstrates that (i) the water in the radiator and the battery of the vehicle is maintained at the proper level; (ii) the oil in the vehicle is maintained at the proper level; (iii) the tires of the vehicle are maintained at the proper pressure. Subscribers may only service the vehicles at an approved and certified service facility. If you are unsure where to find such facility, please contact your Fleet Manager. 6.6 During the Subscription Period the Subscriber undertakes to use the vehicle in reasonable manner and to ensure that they abide by any traffic or other laws and regulations. Vehicles may only be used within continental United States or within smaller area if indicated so by the Fleet Manager. Only Subscribers, Authorized Drivers, and concierge are allowed to operate the vehicles during the Subscription Period. If this rule is violated Subscribers agree to pay liquidated damages in the amount of $500 USD per each violation of this rule. In the event of Joint Subscriptions, this amount is divided amongst the Subscribers evenly unless Subscribers agree otherwise or are able to demonstrate that the violation is at the exclusive fault of specific Subscriber(s).). Subscriber’s violation of traffic and other laws induced during the Subscription Period are a cause for termination of the Agreement at the sole discretion of the Fleet Manager. 6.7 Vehicles are prone to malfunctions if they are not used for longer period of times, including draining of the car battery, rusting of the cables and drying of the tanks. Subscribers agree that they will not leave any vehicle from the Fleet inactive for more than two weeks. At least once every two weeks every vehicle must be driven until the engine reaches optimal work temperature. Be aware of the exhaust fumes; do not leave the vehicle idle in closed spaces! In case the Fleet includes different types of vehicles (mini vans, pickup trucks, sports cars…) each of which is more appropriate for certain activities than others, you agree to always use the most appropriate vehicle for your specific needs. 6.8 Subscriber undertakes to inform the Currux and the Fleet Manager immediately by telephone of any damage to the vehicle which requires repair or salvage, regardless if the damage was caused by accident or breakdown. 6.9 In case the Subscriber attempts to repair or interfere with the mechanics or integrity of the vehicle without notifying the Fleet Manager, and if such action is not made in order to prevent further damage, the Subscriber will bear all costs necessary to bring the vehicle back into the condition it was at the pickup unless decided otherwise by the sole discretion of the Fleet Manager. The Subscriber shall further be responsible for the full cost of repair of the vehicle where damage of the vehicle is caused by the breach of these Terms. Broken windscreens, punctures and damaged tires are at the cost of Subscriber (unless covered by insurance). Without limiting, Subscriber may especially not, without prior written consent from a Fleet Manager, remove, add, or modify tow bar, dashboard camera, vehicle wrapping, GPS, black box, roof rack and racking. 6.10 The Fleet Manager shall have the right to terminate the Subscription prior to the expiry of the Subscription Period and take immediate possession of the vehicle if the Subscriber fails to comply with any of the terms of this Agreement, or if the vehicle is damaged. The termination of the Subscription under this clause shall be without prejudice to other rights of the Fleet Manager and the rights of the Subscriber under this Agreement or otherwise. To the extent permitted by law, Fleet Managers may repossess vehicles at your expense without notice to you, if any of the vehicles is abandoned or used in violation of law or this Agreement.. Fleet Managers may prior to repossessing the vehicle request that Subscriber immediately delivers the vehicle at the location determined by the Fleet Manager. 6.11 If the subscription includes concierge, Subscribers agree to timely update the routes through the Platform. Neither Currux, Fleet Managers, nor concierge will be responsible for any consequence of mistakes in routs or routs not being inserted in a timely manner. 6.12 If any vehicle is stolen, you should immediately notify the police and Fleet Manager for further instructions. 6.13 Vehicles may not be used for carriage of passengers for hire or reward, or any other commercial purpose, unless the vehicle is hired with the knowledge of the Fleet Manager for use in a passenger service licensed under appropriate laws. The driver of the vehicle must carry a valid driver license at all times. Drive or permit the vehicle to be driven by any other person if at the time of driving the vehicle the Subscriber of the vehicle is not the holder of the current full drivers license appropriate for the vehicle. Smoke in the vehicle. There is a no-smoking policy in all vehicles unless otherwise specified by the Fleet Manager. A $500.00 grooming fee will be charged if the subscriber is in breach of the no-smoking policy. Operate the vehicle while using handheld devices. Violate any applicable motor vehicle laws, speed limits, codes, and regulations. Transport any dangerous substance or substance whose possession, transport or use requires special permits without such permit. 6.15 Subscribers agree to abide to all safety regulations, including seat belts and child safety restraints and equipment. 6.16 The Subscriber shall not undertake any repairs or salvage without the authority of the Fleet Manager except to the extent that the repairs or salvage are necessary to prevent further damage to the vehicle or other property. 6.17 The Subscriber shall ensure that no person shall interfere with the distance recorder or speedometer or, except in an emergency, any part of the engine, transmission, braking or suspension system of the vehicle. 6.18 Subscriber is responsible for all damage or loss they cause to others. Each vehicle in the fleet is insured at least to the minimum levels as required by law. Subscriber will provide all necessary information to the Fleet Manager in order to add the Subscriber to the insurance policy. Subscribers are able to acquire their own independent additional insurance in which case such insurance is considered as primary insurance and Fleet Manager’s insurance as secondary. Fleet Manager may offer additional insurance that goes beyond the minimum levels of insurance as Benefits which Subscriber can, but does not have to, subscribe to as well. 6.19 Currux may offer additional insurance which may not be used as replacement or substitute for the insurance offered by the Fleet Manager or insurance purchased by the Subscriber. The driver of the vehicle is under the influence of alcohol or any drug that affects his or her ability to drive the vehicle. The vehicle is in an unsafe or unroadworthy condition that arose during the course of the Subscription Period and that caused or contributed to the damage or loss, and the Subscriber was aware or ought to have been aware of the unsafe or unroadworthy condition of the vehicle. The vehicle is operated in any race, speed test, rally or contest. The vehicle is driven by a person who at the time when he or she drives the vehicle is disqualified from holding or has never held a driver's license appropriate for the vehicle. 6.21 You are obliged to keep a copy of the insurance policy in the vehicle at all times. You further understand and agree to keep all documentation required by law inside the vehicle at all times. 6.22 Subscriber is primarily liable for any damage to the vehicle during the Subscription Period. Damage does not include normal wear and tear of the vehicle. Normal wear and tear includes any dings, dents, cracks, chips, scratches, or corrosion on the exterior which are less than 1 inch in diameter or can be fixed for less than $100,00, and any burns, stains, cuts, tears and singed areas to the interior which are less than 1 inch in diameter. Normal wear and tear also includes braking of any dials, switches, knobs, that usually break or fail over time. Normal wear and tear does not include any damage that is clearly caused by abuse, misuse and malicious actions. If maintenance is included in your subscription plan - routine maintenance, tire rotations, oil and filter changes, topping off fluid levels and inspections are covered by the Fleet Manager. Excess wear and tear such as small scratches, dings, dents, chipped windshields and worn tires protection can be purchased for an additional $14.99 per month. 7.1 Some Fleets may have an option for multiple simultaneous Subscriptions. When Subscriber opts for a multiple subscription they have one (1) hour for other Subscribers that Subscriber invited to join the Joint Subscription. In the event that at the end of the hour the invited Subscribers failed to complete purchase of the Joint Subscription on their end the Joint Subscription will not take place. Fleet Manager may offer a promotion for their Fleets which will include additional promotional period during which other Subscriber may join selected subscription. When Fleet Managers offer a promotion, Subscriber will be able to choose a number of Subscribers, and during the promotion period, they will pay the Subscription Fee as if all Subscribers have joined the subscription. Subscribers will be able to invite people to join the subscription and to accept or decline requests to join the subscription. If the Subscriber fails to find enough Subscribers for the selected Joint Subscription, the subscription will be adjusted for the actual number of Subscribers at the end of the promotion period. For example: if you opt-in for subscription with four Subscribers, but only manage to find one other Subscriber, during the promotion period you both will pay the Subscription Fee calculated for subscription with four Subscribers, but at the end of promotion period your subscription will be changed to subscription with two Subscribers, and you will pay a Subscription Fee calculated for subscription with two Subscribers. 7.2 Subscribers who obtain subscription through promotion but fail to find enough Subscribers during promotion period will be able to invite and accept additional Subscribers until 50% of the Subscription Period have passed. If new Subscribers join such subscription, the subscription will be adjusted for the new number of Subscribers. Subscription Period will remain unchanged regardless of the time at which new Subscribers have joined. 7.3 Joint Subscribers have an equal share of the Fleet. That means that all Subscribers can use the Fleet equally. It is very important that all Subscribers agree on the use of the Fleet so as to prevent any future disputes and follow CURRUX policies. We strongly encourage you to use our Trip Planer in order to schedule trips and efficiently manage overlapping trips and schedules. Neither Subscriber in Joint Subscription may use the vehicle in a way that would prevent the other Subscribers from enjoying their subscription to the fullest extent possible considering the number of the Subscribers. all vehicle maintenance costs (oil, brakes, belts, chains, filters…) are shared amongst the Subscribers proportionally to the mileage incurred by each Subscriber unless provided and paid for by the Fleet Manager. neither Subscriber will leave the vehicle to other Subscribers with less than ¼ of the tank full or with less than ½ of the battery for electric vehicles. each Subscriber will clean the vehicle after its use, and they will not leave the vehicle dirty (interior or exterior) for other Subscribers. Subscriber who had to clean the vehicle before use because other Subscriber left it dirty will be reimbursed by such Subscriber for the actual costs of cleaning. Subscriber may transfer pets and other animals only in accordance with these Terms and with prior permission from other Subscribers. Violation of this provision may have medical consequences in case of severe allergic reactions. if either Subscriber wants to occupy the vehicle for 8 hours or longer they will have to obtain prior permission from all other Subscribers. all Subscribers will respect the schedule from the Trip Planer unless such schedule is not in compliance with this Agreement (for example if the Subscriber did not obtain prior permission for longer trips). Emergency situations (such as family or work emergency) will entitle the Subscriber in that situation with the priority in the use of the vehicles. Any accessory left in the vehicle shall remain in the sole property of the Subscriber who placed it there, and other Subscribers may not use such accessory before obtaining prior permission. Accessories which limit the use of vehicle (such as designated seats for children) shall be removed before leaving the vehicle for other Subscribers unless agreed otherwise. 7.5 Subscriber may request from Currux to remove other Subscribers form the subscription only if they can demonstrate with sufficient evidence that such Subscribers violate these Terms, violate vehicle use agreement, or otherwise behave in bad faith. Removal of Subscribers is at the sole discretion of Currux. In the event that the Subscriber is removed from the Subscription, without prejudice to other measures and fees, subscription will be adjusted for the new number of Subscribers. 7.6 During the duration of Joint Subscription, Subscribers agree to abide by these Terms and any agreement they have among themselves as long as they are not in violation of these Terms. Subscribers will take any reasonable measures so to avoid disturbing the other Subscriber’s use of the vehicles. Subscribers agree to insert their routes on the Platform and to agree on the arrangement of pick ups and drop offs. Subscribers are advised to place in writing their agreed schedule for using the vehicles. 7.7 In any event that decision regarding the Joint Subscription has to be made by Currux, regardless if such decision concerns the responsibility for the fees, costs, violations or removal of Subscribers from Joint Subscriptions, such decision is at the sole discretion of the Currux and shall be final, without prejudice to the other rights and remedies of the Subscribers. 8.1 Without limiting the scope of the article 5. you may terminate this Agreement at any time, or if you are currently subscribed to a Fleet, with five (5) days notice period. Termination of this Agreement for any reason will not release you of any fee, penalty, or other obligation incurred prior to termination of this Agreement. 8.2 Although we take reasonable measures to notify you of your subscription renewal, you understand and agree that it is your obligation to keep track of your Subscription Period and to notify us before the expiry of the Subscription Period if you do not want your subscription to renew. 8.3 If any Subscriber from Joint Subscription decides not to renew their subscription, all other Subscribers will be notified of such decision. If Subscriber in Joint Subscription notifies us on the last day of the Subscription Period that they do not want to renew the subscription, other Subscribers will be provided with additional twenty-four (24) hours to notify us if they do not want to renew the subscription. If at least one Subscriber does not inform us that they do not want to renew the subscription, new subscription will be adjusted for the new number of Subscribers. 8.4 Currux or Fleet Managers may terminate this Agreement with notice at any time and for any reason. If the Agreement is terminated for any cause provided in this Agreement, Subscriber will not receive any refund or credit for unused portion of the Subscription Period already paid. If the Agreement is terminated unilaterally by Currux or Fleet Manager without cause, Subscriber may receive refund or Platform credit for the unused portion of the Subscription period already paid. 8.5 In the event of termination of this Agreement Fleet Manager may reposes the vehicle(s) in the Fleet immediately and at the expense of the Subscriber(s). Fleet Manager may request that Subscriber delivers the vehicle(s) to the drop-off point. 9.1 Any notice and information regarding the subscription may be sent to the Currux and Fleet Manager to their respective e-mail addresses or through registered mail at the address officially registered for Currux and Fleet Manager. Any notice or information sent by e-mail or registered mail will be considered as received two (2) business days after the date of sending. In case of emergencies, such when the car is damaged or stolen, Subscriber may contact Currux and Fleet Managers by phone. 9.2 Currux and Fleet Managers may contact Subscribers through any available means using the contact information you have provided. 10.1 You will indemnify and hold harmless Currux, and its employees and affiliates, from and against any claims, disputes, demands, liabilities, damages, losses, and costs and expenses, including, without limitation, reasonable legal and accounting fees arising out of or in any way connected with your access to or use of the Site and our Services, content which you provide, or your violation of these Terms. 11.1 YOU AGREE THAT, TO THE EXTENT PERMITTED BY APPLICABLE LAW, YOUR SOLE AND EXCLUSIVE REMEDY FOR ANY PROBLEMS OR DISSATISFACTION WITH THE CURRUX SERVICE IS TO STOP USING THE CURRUX SERVICES. 11.2 TO THE MAXIMUM EXTENT PERMITTED BY APPLICABLE LAW YOU HEREBY RELEASE, WAIVE, DISCHARGE, AND COVENANT NOT TO SUE, AND AGREE TO HOLD HARMLESS FOR ANY AND ALL PURPOSES, US, AND ANY OF OUR EMPLOYEES, OFFICERS, SHAREHOLDERS, DIRECTORS, AGENTS, SUBSIDIARIES, AFFILIATES, SUCCESSORS, SUPPLIERS, ASSIGNEES OR LICENSORS, FROM ANY AND ALL LIABILITIES, CLAIMS, DEMANDS, OR INJURY INCLUDING DEATH, THAT MAY BE SUSTAINED BY YOU IN CONNECTION WITH YOUR PARTICIPATION IN THE PROGRAM, INCLUDING INJURIES SUSTAINED AS A RESULT OF OUR NEGLIGENCE. YOU WARRANT THAT THERE IS NO MEDICAL REASON LIMITING YOUR PARTICIPATION IN THE PROGRAM. CURRUX, ITS EMPLOYEES, OFFICERS, SHAREHOLDERS, DIRECTORS, AGENTS, SUBSIDIARIES, AFFILIATES, SUCCESSORS, SUPPLIERS, ASSIGNEES OR LICENSORS SHALL NOT BE LIABLE FOR ANY INDIRECT, SPECIAL, INCIDENTAL, PUNITIVE, EXEMPLARY OR CONSEQUENTIAL DAMAGES, OR ANY LOSS OF PROFITS OR REVENUES, WHETHER INCURRED DIRECTLY OR INDIRECTLY, OR ANY LOSS OF DATA, USE, GOOD-WILL, OR OTHER INTANGIBLE LOSSES, ARISING OUT OF YOUR ACCESS OR USE OR INABILITY TO ACCESS OR USE THE CURRUX SERVICES, THIRD-PARTY SERVICES, APPLICATIONS OR THIRD-PARTY APPLICATION CONTENT, INCLUDING WITHOUT LIMITATION ANY OFFENSIVE OR ILLEGAL CONDUCT OF OTHER USERS OF THE PLATFORM AND ACTIONS OR BEHAVIOR OF THE FLEET MANAGERS, REGARDLESS OF LEGAL THEORY, EVEN IF CURRUX HAS BEEN ADVISED OF THE POSSIBILITY OF THOSE DAMAGES AND EVEN IF A REMEDY FAILS OF ITS ESSENTIAL PURPOSE. 11.3 CURRUX, IT’S EMPLOYEES, AGENTS, AND ITS DIRECTORS DO NOT ACCEPT ANY LIABILITY, AND YOU HEREBY AGREE TO RELEASE US OF ANY LIABILITY ARISING (WHETHER DIRECTLY OR INDIRECTLY) OUT OF THE INFORMATION PROVIDED THROUGH THE PLATFORM, OR ANY ERRORS, IN OR OMISSIONS FROM INFORMATION ON THE SITE. CURRUX IS NOT LIABLE FOR LOSS (WHETHER DIRECTLY OR INDIRECTLY) CAUSED BY YOUR ACTIONS OR DECISIONS BASED ON YOUR RELIANCE ON THE INFORMATION PROVIDED TO YOU THROUGH THE PLATFORM, NOR CAUSED BY THE DELAY, MALFUNCTION OF THE OPERATION OR THE AVAILABILITY OF THE PLATFORM. 11.4 You acknowledge that there are inherent risks involved with your subscription and you choose to voluntarily subscribe to a Fleet with full knowledge that it may be hazardous. TO THE FULLEST EXTENT PERMITTED BY LAW, YOU VOLUNTARILY ASSUME FULL RESPONSIBILITY FOR ANY RISKS OF LOSS, PROPERTY DAMAGE OR PERSONAL INJURY, INCLUDING DEATH that may be sustained by you as a result of your subscription, including injuries sustained as a result of our negligence. You further agree to indemnify us and hold harmless for any loss, liability, damage or costs, including court costs and attorney’s fees that may occur as a result of your subscription. 11.5 It is your express intent that this covenant not to sue and agreement to hold harmless will bind the members of your family and spouse, if you are alive, and your heirs, assigns and personal representatives, if you are deceased. 12.1 We are not responsible for any acts or omissions of the Third-Parties involved in our Services, including Fleet Managers, Insurance providers, payment processors or their partners, affiliates or agents. The Services are provided “AS IS” without warranty of any kind, either express or implied including but not limited to warranties of accuracy, merchantability, fitness for a particular purpose and/or non-infringement. Currux makes no warranty that the Platform will meet your requirements or be available on an uninterrupted, secure, or error-free basis. Unless otherwise agreed, Currux makes no warranty regarding the quality of any Fleet, vehicles, benefits, or any content or the accuracy, timeliness, truthfulness, completeness, or reliability of any content obtained through the Platform. 13.1 Any controversy or claim arising out of or relating to this Agreement, or the breach thereof, shall be settled by arbitration administered by the American Arbitration Association in accordance with its Commercial Arbitration Rules and judgment on the award rendered by the arbitrator(s) may be entered in any court having jurisdiction thereof. 13.2 Claims shall be heard by a single arbitrator, unless the claim amount exceeds $1,000,000, in which case the dispute shall be heard by a panel of three arbitrators. The place of arbitration shall be Houston, Texas. The arbitration shall be governed by the laws of the State of Texas. Hearings will take place pursuant to the standard procedures of the Commercial Arbitration Rules that contemplate in person hearings. The arbitrators will have no authority to award punitive or other damages not measured by the prevailing party's actual damages, except as may be required by statute. Any award in an arbitration initiated under this clause shall be limited to monetary damages and shall include no injunction or direction to any party other than the direction to pay a monetary amount. The arbitrator(s) shall award to the prevailing party, if any, as determined by the arbitrators, all of their costs and fees. "Costs and fees" mean all reasonable pre-award expenses of the arbitration, including the arbitrators' fees, administrative fees, travel expenses, out-of-pocket expenses such as copying and telephone, court costs, witness fees, and attorneys' fees. Except as may be required by law, neither a party nor an arbitrator may disclose the existence, content, or results of any arbitration hereunder without the prior written consent of both parties. The parties agree that failure or refusal of a party to pay its required share of the deposits for arbitrator compensation or administrative charges shall constitute a waiver by that party to present evidence or cross-examine witness. In such event, the other party shall be required to present evidence and legal argument as the arbitrator(s) may require for the making of an award. Such waiver shall not allow for a default judgment against the non-paying party in the absence of evidence presented as provided for above. 14.2 The section titles in the Terms are for convenience only and have no legal or contractual effect. 14.3 Any failure to exercise or enforce any right or the provision of this agreement shall not constitute a waiver of such right or provision. 14.4 You may not assign or transfer the rights of this Agreement in whole or in part under any circumstances. 14.5 This Agreement is intended to be solely for the benefit of you and us and is not intended to confer any benefits upon, or create any rights in favor of, any person or entity other than you. By applying to register through the Currux Platform you express your agreement to be legally bound by our terms and conditions stated in this document as well as in our Subscription Terms and Conditions document and other legal documents available on the Platform made available by Currux.com you expressly agree to be legally bound by the terms stated in this document, so please read these terms carefully before using our platform as you are entering into a binding contract with Currux Corp., 520 Post Oak Blvd, Suite 260, Houston TX 77027 USA (“Currux”). ‘Authorized Driver’ refers to Subscriber, and any other person authorized to drive the vehicle from the Fleet and registered and approved as such through the Platform. Authorized Driver also refers to the concierge and the person authorized by law to operate the vehicle such as any person driving the vehicle to the medical facility during an emergency. ‘Fleet Manager’ refers to a User approved for providing the Fleets and Benefits for subscription through the Platform. ‘Benefits’ refers to additional services offered by Fleet Managers such as concierge, maintenance of the Fleet and insurance. ‘Model Car’ refers to the vehicle that is not yet available on the Platform, but the User requesting a subscription to a Model Car will be notified as soon as the Fleet with such vehicle becomes available for subscription. ‘Services’ refers to the Currux marketplace where Users are able to subscribe to the Fleets offered by Fleet Managers, overall functionality of the Platform, and availability of the Content provided by Currux and User Generated Content. 2.1	By using our Services, you confirm that you (i) have full legal capacity to enter into a binding relation, (ii) that you will provide true, accurate, current, and complete information where requested, and information which is otherwise compatible with these Terms, (iii) that you will not use Services contrary to these Terms or applicable laws. If you apply to register on behalf of a legal entity you further confirm that (i) you have the appropriate authorization to accept the terms of this Agreement, (ii) you have the appropriate authorization to bind such legal entity by accepting this Agreement, (iii) legal entity on behalf of whom you accept this Agreement has full power to enter into this agreement and to perform obligations as defined herein. 2.2 By accessing the Platform, you confirm that you will not use the Platform contrary to these Terms or applicable laws. 2.3 In order to register on the Platform we have to verify and accept your request to register. We may decline your registration for any reason and you understand that such decision shall be final until we decide otherwise. When we accept your registration request, we will list you on the Site as a Fleet Manager and you will be able to post Fleets and other Benefits on the Platform. 2.4 You understand that it is your responsibility to keep your log in information confidential. You are responsible for all activity under your account. If you ever find out or suspect that someone accessed your account without authorization, you are advised to inform us immediately. 3.1 Currux may make changes or replace our Subscription Terms and Conditions Agreement at any time. We will post such changes, replacements and updates on the Platform and such change, replacement, and update to our Terms and Conditions Agreement will take effect immediately upon posting. You are consenting to keep yourself up to date with the latest posted Terms and Conditions Agreement and you accept and are bound by such change, replacement and update if you access or use our service after we have posted updated Terms. 4.1 Our Subscription Terms and Conditions document explains what fees and costs are paid by the Subscribers. Our Platform works in a way where we do not charge Subscribers for the use of our Services. All our fees and costs are contained in the Subscription Fee, so please keep that in mind when you choose the prices of your subscriptions. We will collect our part of the Subscription Fee directly from the Subscriber. We do this by utilizing Stripe services for payment, and upon approval of your registration we will create a designated account for you. When Subscriber pays the Subscription Fee, Stripe divides the amount collected from the Subscriber into two pieces, one is transfer directly to us and it includes our fees and costs, and the remaining amount is transfer to your account. Any other costs and fees such as early termination fee, grooming fee, late return fee and similar are transferred directly to your account. In the event that Subscriber is approved for the refund, you authorize us to chargeback the amounts transferred to your account. 4.2 We charge a fee as a commission which is 10% of the Subscription Fee. We will charge the costs of conducting a background check on potential Subscribers. We will also charge a monthly fixed price cost of our GPS device and location services. 4.3 Fleet Managers hereby agree that they will not take any action in order to circumvent Currux fees, including finding about the Subscribers through Platform and then completing a transaction outside of Currux. You understand and agree that, because the actual damages that may result from such circumvention are hard to estimate, you will pay the amount of $5,000 USD to Currux as a compensation for such violation. This amount is intended to cover any potential profits we may have lost by your circumvention of our fees. 4.4 You may not list vehicles which are not available for Subscription. In the event that Subscription is denied because the vehicle is no longer available you agree to pay to Currux the fee for denial of services in the amount of $125.00USD for each instance of denial of services. 5.1 All vehicles provided in the Fleets must be in new, excellent or very good condition, not older than 5 years and under 50,000 miles. Vehicles provided in Fleets may be older than 5 years and over 50,000 miles if such vehicles have an active manufacturer or certified pre-owned warranty. If during the term of this Agreement, any vehicle loses any of the properties necessary to be provided through the Platform, you will remove such vehicle from your listings except if Subscriber wants to renew their subscription with that particular vehicle. 5.2 When you post a Fleet on the Platform you must (i) provide complete and accurate information about the Fleet (such as number of vehicles, vehicle description, picture, and mileage limitation if it differs from default), (ii) provide VIN for each vehicle you choose to list on the Platform, (iii) disclose any deficiencies, restrictions and requirements that apply (such as any special licenses, carry load, access, manual/automatic transmission) (iv) provide clean CARFAX and AutoCheck vehicle reports with no history of accidents and (v) provide any additional agreements that you require with Subscribers. You are responsible for keeping your Fleet information (including calendar availability) up-to-date at all times. Any additional terms and conditions for your Fleet or Benefit, must not conflict with these Terms and other applicable Platform terms and policies. 5.3 You may not post pictures, animations or videos in your listings which do not accurately reflect the quality and condition of your Fleet. We reserve the right to require that listings have a minimum number of images of a certain format, size and resolution. 5.4 You may, but are not obliged to, provide Subscribers with an option to exchange the vehicles in the Fleet. You may not provide exchange to Subscribers outside of the Platform and you may not provide vehicles that are not listed on the Platform. 5.5 When Subscriber subscribes to a fleet, you are entering into a legally binding agreement with the Subscriber and are required to provide your Fleet and Benefits if selected to the Subscriber as described in your listing and Subscription Terms and Conditions. 5.6 When the subscription becomes active we will provide you with the GPS devices which you will have to install into each vehicle in the Fleet. Through this device you will be able to monitor the vehicles location and to utilize the maps and scheduling service on the Platform. 5.7 You represent and warrant that any listing you post will (i) not breach any agreements you have entered into with any Third-Parties, and (ii) comply with all applicable laws, Tax requirements, and other rules and regulations. As a Fleet Manager, you are responsible for your own acts and omissions. 5.8 You understand and agree that if you choose to offer concierge Benefit on the Platform you guarantee that all members of the concierge service are employees of yours, that they have clean criminal record, driving record and personal profile. Concierge may not have a history of driving violations such as DWI, DUI, running a red light, reckless driving and similar. You are responsible for conducting background checks and for complying with any additional request made by the Subscriber. You further agree that you will only offer concierge services by a person who is deemed to have high moral values and is a person of trust and integrity. Concierge will have to be trained and advised as to acceptable behavior and best practices when providing their services. You hereby agree and accept all responsibility for the consequences caused directly by your concierge. 5.9 If insurance is provided by the Fleet Manager, Fleet Managers must comply with all appropriate insurance requirements before posting vehicles on the Platform. Fleet Managers may provide additional insurance levels that go beyond the minimum requirements as a Benefit. The minimum limit for insurance in the state of Texas is $30,000 for each injured person, $60,000 for injuries per incident, and $25,000 for property damage. 5.10 If insured by the Fleet Manager, Fleet Managers shall add the Subscriber and any authorized driver to the insurance policy and they will keep a proof of insurance in the glove compartments of each corresponding vehicle. 5.11 If Subscriber has its own insurance, the insurance must name the Fleet Manager as the insured party and a copy must be presented to the Fleet Manager in order to obtain the vehicle. 6.1 You may terminate this Agreement at any time simply by deleting all your listings on the Platform. If there is an active subscription in place, you may not terminate this agreement prior to the expiry of the Subscription Period. Termination of this Agreement will not release you of any fee, penalty, or other obligation incurred prior to termination of this Agreement. 6.2 We may terminate or suspend your account for any reason at our sole discretion and without the need to deliberate on the reasons. engage in fraudulent or illegal activities. 7.1 You will indemnify and hold harmless Currux, and its employees and affiliates, from and against any claims, disputes, demands, liabilities, damages, losses, and costs and expenses, including, without limitation, reasonable legal and accounting fees arising out of or in any way connected with your access to or use of the Site and our Services, content which you provide, or your violation of these Terms. 8.1 YOU AGREE THAT, TO THE EXTENT PERMITTED BY APPLICABLE LAW, YOUR SOLE AND EXCLUSIVE REMEDY FOR ANY PROBLEMS OR DISSATISFACTION WITH THE CURRUX SERVICE IS TO STOP USING THE CURRUX SERVICES. 8.2 TO THE MAXIMUM EXTENT PERMITTED BY APPLICABLE LAW YOU HEREBY RELEASE, WAIVE, DISCHARGE, AND COVENANT NOT TO SUE, AND AGREE TO HOLD HARMLESS FOR ANY AND ALL PURPOSES, US, AND ANY OF OUR EMPLOYEES, OFFICERS, SHAREHOLDERS, DIRECTORS, AGENTS, SUBSIDIARIES, AFFILIATES, SUCCESSORS, SUPPLIERS, ASSIGNEES OR LICENSORS, FROM ANY AND ALL LIABILITIES, CLAIMS, DEMANDS, OR INJURY INCLUDING DEATH, THAT MAY BE SUSTAINED BY YOU IN CONNECTION WITH YOUR PARTICIPATION IN THE PROGRAM, INCLUDING INJURIES SUSTAINED AS A RESULT OF OUR NEGLIGENCE. YOU WARRANT THAT THERE IS NO MEDICAL REASON LIMITING YOUR PARTICIPATION IN THE PROGRAM. CURRUX, ITS EMPLOYEES, OFFICERS, SHAREHOLDERS, DIRECTORS, AGENTS, SUBSIDIARIES, AFFILIATES, SUCCESSORS, SUPPLIERS, ASSIGNEES OR LICENSORS SHALL NOT BE LIABLE FOR ANY INDIRECT, SPECIAL, INCIDENTAL, PUNITIVE, EXEMPLARY OR CONSEQUENTIAL DAMAGES, OR ANY LOSS OF PROFITS OR REVENUES, WHETHER INCURRED DIRECTLY OR INDIRECTLY, OR ANY LOSS OF DATA, USE, GOOD-WILL, OR OTHER INTANGIBLE LOSSES, ARISING OUT OF YOUR ACCESS OR USE OR INABILITY TO ACCESS OR USE THE CURRUX SERVICES, THIRD-PARTY SERVICES, APPLICATIONS OR THIRD-PARTY APPLICATION CONTENT, INCLUDING WITHOUT LIMITATION ANY OFFENSIVE OR ILLEGAL CONDUCT OF OTHER USERS OF THE PLATFORM AND ACTIONS OR BEHAVIOR OF THE FLEET MANAGERS, REGARDLESS OF LEGAL THEORY, EVEN IF CURRUX HAS BEEN ADVISED OF THE POSSIBILITY OF THOSE DAMAGES AND EVEN IF A REMEDY FAILS OF ITS ESSENTIAL PURPOSE. 8.3 CURRUX, IT’S EMPLOYEES, AGENTS, AND ITS DIRECTORS DO NOT ACCEPT ANY LIABILITY, AND YOU HEREBY AGREE TO RELEASE US OF ANY LIABILITY ARISING (WHETHER DIRECTLY OR INDIRECTLY) OUT OF THE INFORMATION PROVIDED THROUGH THE PLATFORM, OR ANY ERRORS, IN OR OMISSIONS FROM INFORMATION ON THE SITE. CURRUX IS NOT LIABLE FOR LOSS (WHETHER DIRECTLY OR INDIRECTLY) CAUSED BY YOUR ACTIONS OR DECISIONS BASED ON YOUR RELIANCE ON THE INFORMATION PROVIDED TO YOU THROUGH THE PLATFORM, NOR CAUSED BY THE DELAY, MALFUNCTION OF THE OPERATION OR THE AVAILABILITY OF THE PLATFORM. 9.1 Currux is not responsible for any acts or omissions of the Third-Parties involved in our Services, including Subscribers, Insurance providers, payment processors or their partners, affiliates or agents. The Services are provided “AS IS” without warranty of any kind, either express or implied including but not limited to warranties of accuracy, merchantability, fitness for a particular purpose and/or non-infringement. Currux makes no warranty that the Platform will meet your requirements or be available on an uninterrupted, secure, or error-free basis. Currux makes no warranty regarding the accuracy, timeliness, truthfulness, completeness, or reliability of any content obtained through the Platform. 10.1 Any controversy or claim arising out of or relating to this Agreement, or the breach thereof, shall be settled by arbitration administered by the American Arbitration Association in accordance with its Commercial Arbitration Rules and judgment on the award rendered by the arbitrator(s) may be entered in any court having jurisdiction thereof. 10.2 Claims shall be heard by a single arbitrator, unless the claim amount exceeds $1,000,000, in which case the dispute shall be heard by a panel of three arbitrators. The place of arbitration shall be Houston, Texas. The arbitration shall be governed by the laws of the State of Texas. Hearings will take place pursuant to the standard procedures of the Commercial Arbitration Rules that contemplate in person hearings. The arbitrators will have no authority to award punitive or other damages not measured by the prevailing party's actual damages, except as may be required by statute. Any award in an arbitration initiated under this clause shall be limited to monetary damages and shall include no injunction or direction to any party other than the direction to pay a monetary amount. The arbitrator(s) shall award to the prevailing party, if any, as determined by the arbitrators, all of their costs and fees. "Costs and fees" mean all reasonable pre-award expenses of the arbitration, including the arbitrators' fees, administrative fees, travel expenses, out-of-pocket expenses such as copying and telephone, court costs, witness fees, and attorneys' fees. Except as may be required by law, neither a party nor an arbitrator may disclose the existence, content, or results of any arbitration hereunder without the prior written consent of both parties. The parties agree that failure or refusal of a party to pay its required share of the deposits for arbitrator compensation or administrative charges shall constitute a waiver by that party to present evidence or cross-examine witness. In such event, the other party shall be required to present evidence and legal argument as the arbitrator(s) may require for the making of an award. Such waiver shall not allow for a default judgment against the non-paying party in the absence of evidence presented as provided for above. 11.4 You may not assign or transfer the rights of this Agreement in whole or in part under any circumstances. 11.5 This Agreement is intended to be solely for the benefit of you and us and is not intended to confer any benefits upon, or create any rights in favor of, any person or entity other than you.